It seems like Apple has its hands full at the moment as more reports emerge of the iPhone 8 battery swelling. What isn’t clear at the point is whether this is happening in handful of devices or a larger batch. 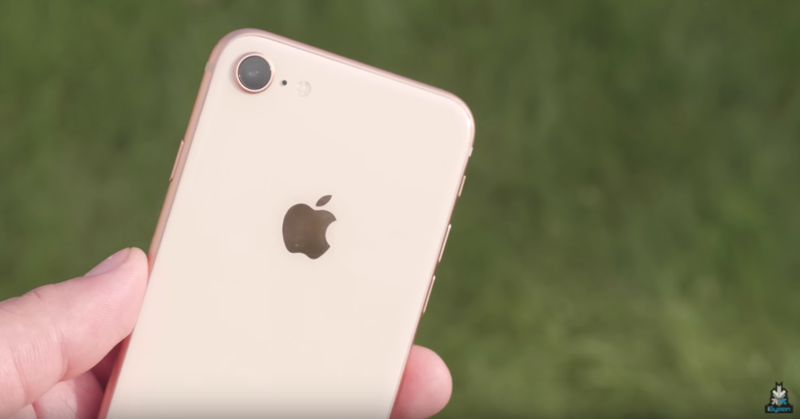 Since late September, there have been reports of the iPhone 8 batteries swelling and causing the phone to split up. What appears to be happening is that the battery inside the phone is swelling, bending the front of the phone and separating it from the body of the device. A silver lining here is that there are no reports of a fire yet. We are aware and looking into it. Considering the larger picture, there appears to be only six or so cases so far. This is a very small number compared to the millions of iPhone 8’s Apple must have presumably sold so far. The first report came out of Taiwan, where a woman is said to have found her iPhone swollen after plugging it in for charging. Then, someone in Japan posted photos of a split-apart iPhone 8 on Twitter. And in the days since, there have been cases in China, Canada, and Greece. A couple of years ago, this would not have mattered too much but, since the Samsung Galaxy Note7 battery issues, there is a cause of concern here. Reports in the coming days and Apple’s investigation will make it clear as to what the real issue is here but, as of now, the number of issues compared to the phones sold is too less for you as a consumer to be worried.